FluoroSafety provides online Fluoro CME courses for physicians and other medical professionals. Our courses are approved for AMA PRA Category 1 CME™ credit. They fulfill state requirements for initial training and continuing education including the Fluoroscopy Supervisor and Operator permit in California. The top quality educational programs from FluoroSafety meet requirements for Self-Assessment CME (SA-CME) MOC credit for most ABMS member boards, including the ABIM, ABR, ABS, ABPMR, ABA, and ABP. Click here for more details on MOC. What makes FluoroSafety CME training programs unique? FluoroSafety CME courses are focused on ease of access, content that is interactive and engaging, and achieving measurable results. 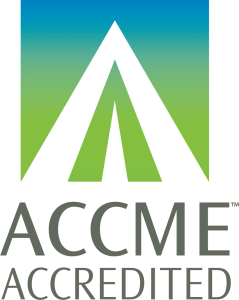 FluoroSafety is accredited by the Accreditation Council for Continuing Medical Education (ACCME) to provide continuing medical education for physicians. Who uses FluoroSafety for Fluoro CME Training?